Maine Car Insurance Quotes and Requirements « Car Insurance Calculator – Car Insurance Estimator for You! Maine’s required insurance limits, especially for personal injury damages, are among the higher of the minimum requirements for any state, e.g. when compared to Louisiana. However, when purchasing car insurance, consider the cost of damages likely to occur in an accident. Repairs and medical costs may be more expensive in Maine than elsewhere. If you are in a serious collision and the damages you caused are greater than the coverage limits you purchased, you may be personally liable to pay for those damages that exceed the amount of insurance coverage you purchased. Nearly all car insurance policies have a provision that will adjust your coverage from the minimums required in your state to the minimum insurance or proof of financial responsibility in another U.S. state. So you do not need to get a new insurance policy for each state you are driving through. 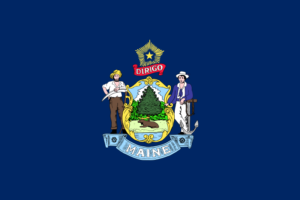 Maine is a modified contributory negligence state. This is a legal defense that means that a plaintiff can recover for an injury, reducing the amount that the plaintiff can recover based on the percentage of which the plaintiff is at fault if it is determined that his or her fault in causing the injury is less than 50%. If the plaintiff’s fault level reaches 50% or more, he or she cannot recover any damages resulting from the accident. In Maine, a first time offense of Driving Under the Influence (DUI) is a misdemeanor offense. If you are 21 years or older, if you have a Blood Alcohol Content (BAC) level of .08% or higher while driving, Maine law presumes you are driving under the influence. If you are under 21, a lower BAC may apply to you. If convicted, you may be sentenced up to a maximum of 4 days, which is determined based on whether there are aggravating factors such as if you attempt to elude an office, have a minor in the vehicle, drive over 30 Mph over the posted speed limit, or have a BAC of .15% or more. Your car may be seized and forfeited. You may be required to attend mandatory court ordered alcohol and drug education or treatment program for at least 90 days. Fines may be imposed up to $500.00 plus court fees. Your license will be suspended for at least 90 days. SR-22 or FR-44 forms will be required for a 1st DUI. If convicted, you may be sentenced up to a maximum of 12 days, which is determined based on whether you refuse or consent to a BAC test. Your car may be seized and forfeited. You may be required to attend mandatory court ordered alcohol and drug education or treatment program for at least 90 days. Fines may be imposed up to $800.00 plus court fees. Your license will be suspended for at least 18 months and may be prohibited from obtaining a work restricted license.. SR-22 or FR-44 forms will be required for a 2nd DUI. NAIC 2010 Market Share Information Note: List does not contain duplicates of associated or affiliated insurance companies.